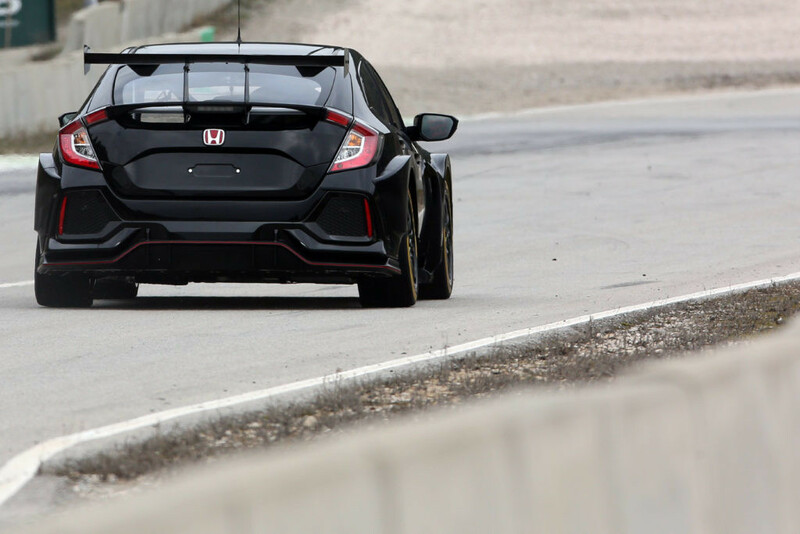 The Team Dynamics-run Honda squad has taken the wraps off the all-new Civic Type R that it will campaign in the 2018 British Touring Car Championship on the second day of a specially-organised group test in Spain. Dynamics is one of a number of teams to have headed to the Parcmotor Castellolí circuit near Barcelona for a week of testing, with Motorbase Performance, Eurotech and AmDTuning.com also in action. 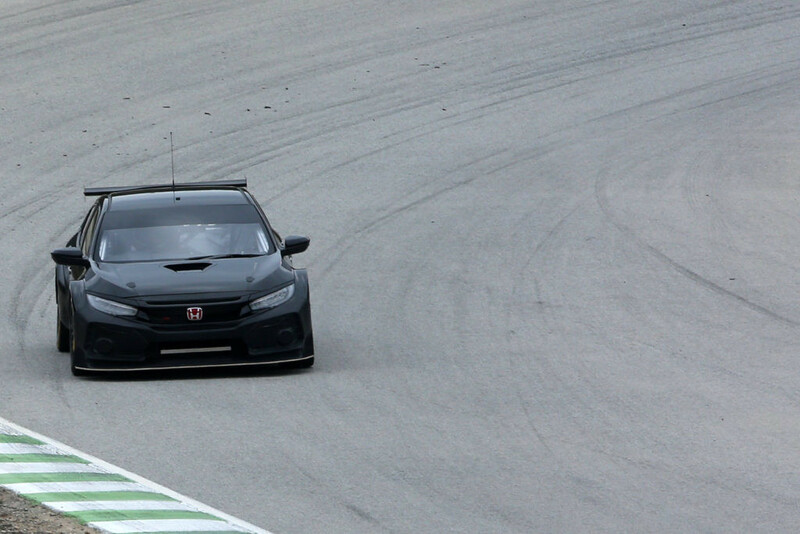 New Honda signing Dan Cammish was one of the drivers to hit the track on Monday, albeit at the wheel of one of the 2017 Civic Type Rs in order to start gaining experience of front-wheel drive. Team-mate Matt Neal then joined him on track today [Tuesday] to conduct the initial shakedown of the new FK8 Type R as Dynamics kicks-off a busy pre-season testing programme with the new car. Cammish will also sample the car for the first time this week before the team returns to the UK to continue testing at Brands Hatch and Donington Park. “It’s been a massive effort by the team over the off-season to transition to the new Honda Civic Type R and to see all of those hours labour bear fruit is just a fantastic feeling,” Dynamics team manager James Rodgers said. “The car provides an excellent platform to work with and we’re sure it’ll prove a potent package when it hits the track in anger at Brands Hatch. 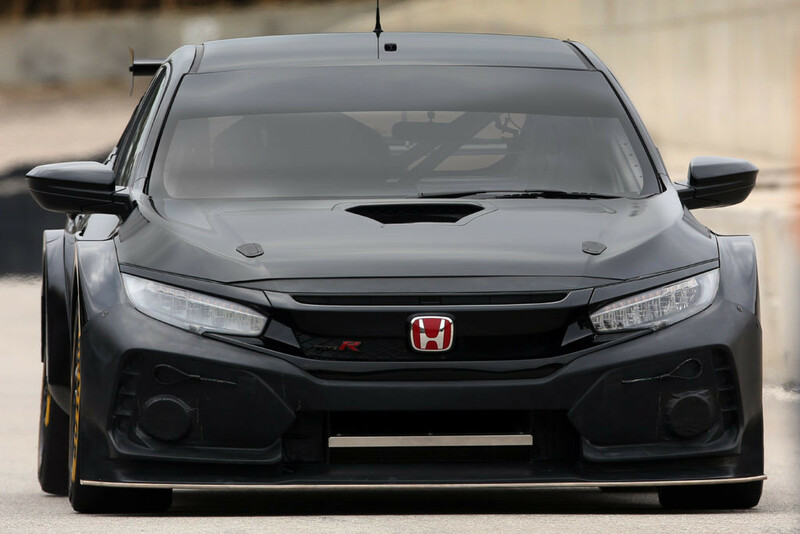 The new FK8 has been in development for some time and becomes the fourth different Civic to be built to the BTCC’s NGTC regulations, following on from the Civic Hatch, the Tourer and the FK2 Type-R.
“The Honda Civic Type R has been one of the Dunlop MSA British Touring Car Championship’s most successful cars during its time in the series, and with the launch of the FK8 road car in 2017, it’s fantastic to see the next generation in full racing trim out on track for 2018,” Honda UK managing director David Hodgetts said. “With the new car and a new driver pairing, we’re sure the season ahead will be one to remember. The FK2 Type R will continue to race this year with the Eurotech and BTC Norlin squads.